In a day where communication is so important, we place a lot of emphasis on creating a website that provides this communication link between our school and the community. Our webmasters strive to be above the rest by using original design and graphics, quality content and information, and user-friendly navigation. Please take a moment to review the awards our website has earned. The goal of The Real Estate Library is to honor those websites that are a benefit to the World Wide Web. 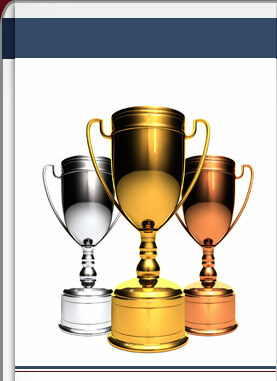 They award those sites that are informative, have great design, interactivity, and relevant content. We are excited to be recipients of their Pure Gold award.